The section of road from the end of the Settlers Freeway, under the narrow gauge bridge up to the S-bend is called Humewood Road. 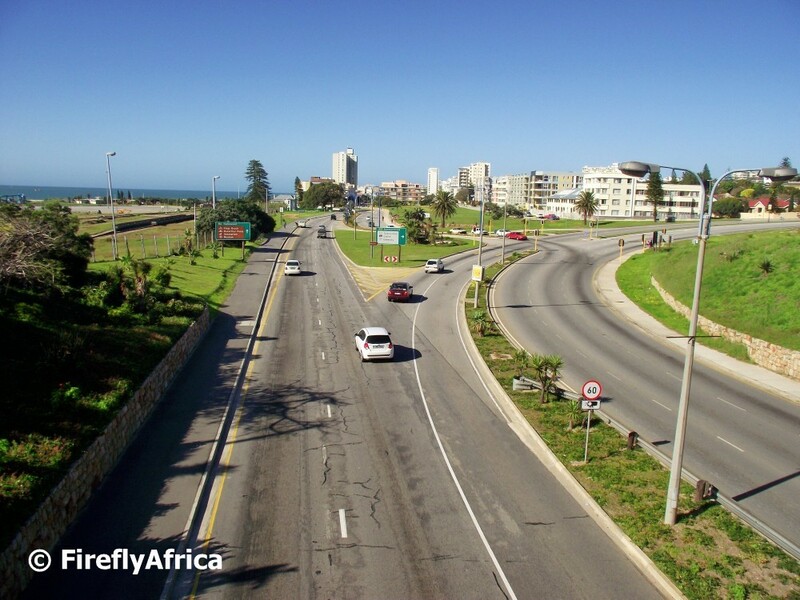 From there up to Hobie Beach its known as Beach Road while from 1st Avenue onwards all the way to Schoenmakerskop its called Marine Drive. Confusing indeed. Thus most people just refer to the whole thing as Marine Drive. The picture was taken looking towards the S-bend from the top of the railway bridge at Humerail. 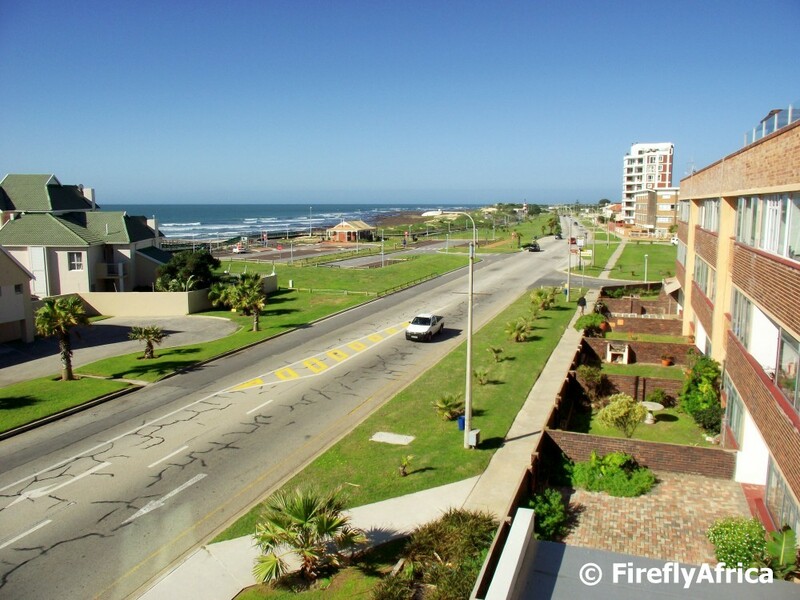 Looking south down onto Marine Drive in Summerstrand from the restaurant area of the Radisson Blu Hotel. 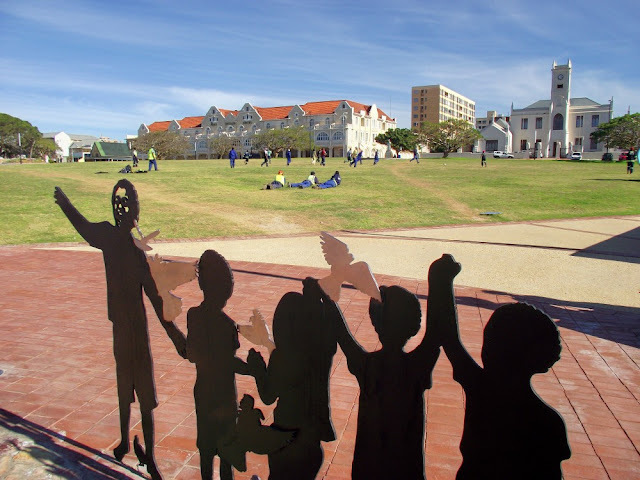 I had to take a couple of photos around Marine Drive on the Port Elizabeth beachfront for somebody the other day. 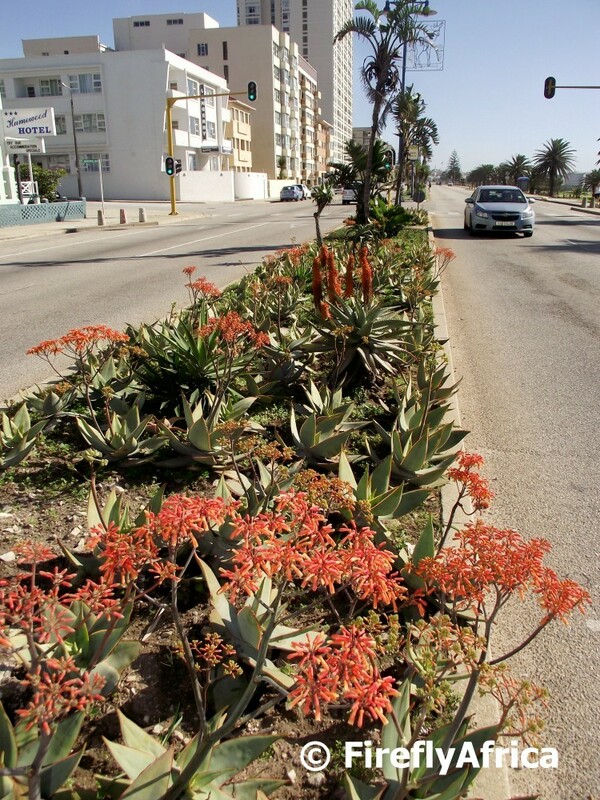 Now taking photos of a road isn't the most interesting and exciting project, but I did find these coral aloe in bloom on the middle man in front of the Humewood Hotel. We may be coming out of a drought, but when it rains it pours. 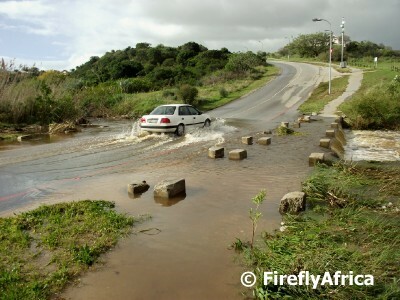 The low water bridge over the Baakens River at the 3rd Avenue Dip floods very easily and so it was the case again with all the rain we had this weekend. Not long ago a well known Port Elizabeth personality was featured in an insert on SABC3 magazine program Top Billing. 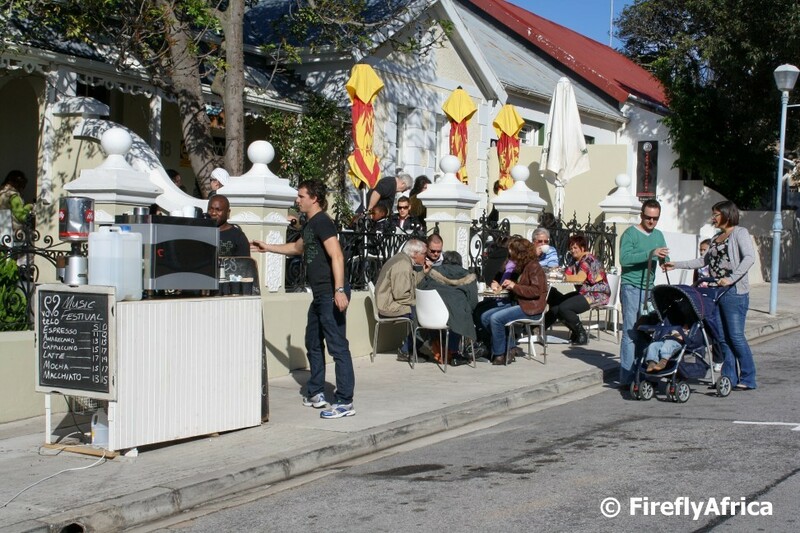 He was taken around Johannesburg on an outing and while having coffee at a sidewalk cafe in the city he was asked if there were restaurants like that in Port Elizabeth. His comment, "No, cause if there were they would surely be blown into the sea." I was shocked and outraged at the time and thought of it again last weekend while walking around Richmond Hill taking in the sights and sounds of the Street Music Festival. Richmond Hill has a number of cafes and restaurants that have outside and sidewalk seating and quite clearly they aren't being blown into the sea as the wind isn't as bad as the perception usually is. 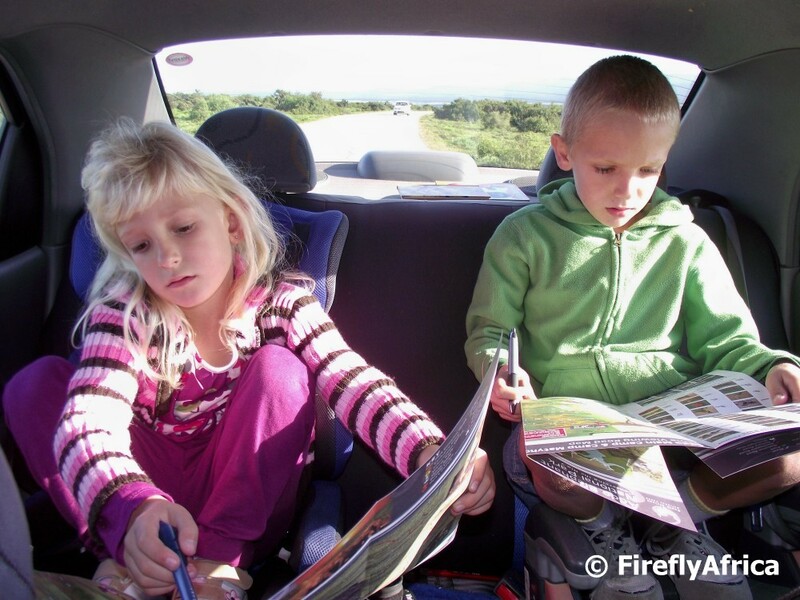 At the Addo Elephant National Park all vehicles entering the park gets given a map that not just shows all the roads through the park, but also lists the names and pictures of all the animals you are likely to see. They guy at the gate handed me three maps as we went through with the words, "One for the front and two for the back." You good man!!! Quite clearly he is conscious of the fact that kids love the maps. Drama Princess and Chaos Boy sat with eyes peeled throughout the whole park and marked each animal every time we saw one. So you can imagine some blocks were literally coloured in by the time that we were done. Now there is a face only a mother can love. 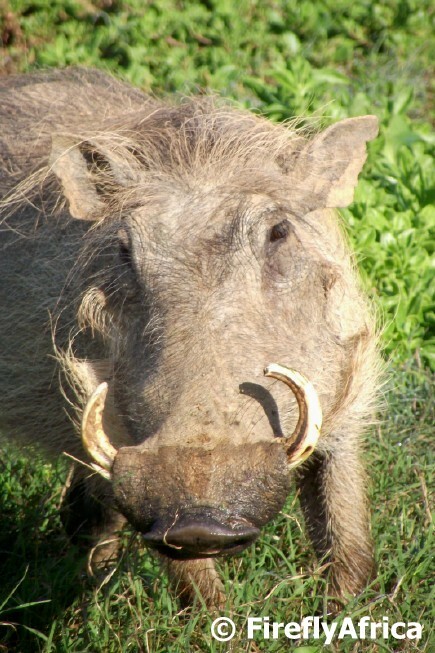 After all the rain in the Addo Elephant National Park the grass is lush and green and we found a lot of warthog grazing next to the road. 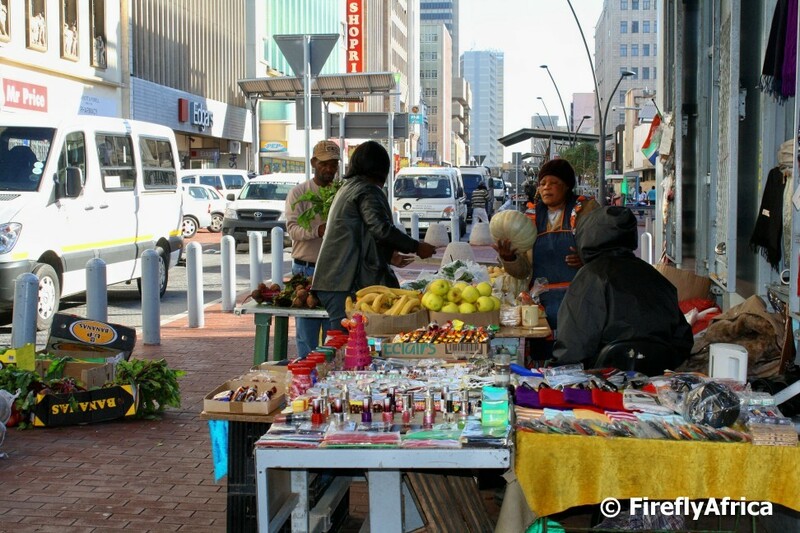 Vendors selling their wares on Govan Mbeki Avenue (Main Street) in downtown Port Elizabeth. The one table contains fresh fruit and vegetables while the other one has things like sweets, makeup and mobile phone holders. Very few people know that there is a Time Capsule buried right in the centre of the Market Square. Tour guide Mike Callaghan sent me the following information which he obtained via Grizel Hart, Margaret Harridene and the Reference Section of the Public Library that was reported on in the Herald newspaper. 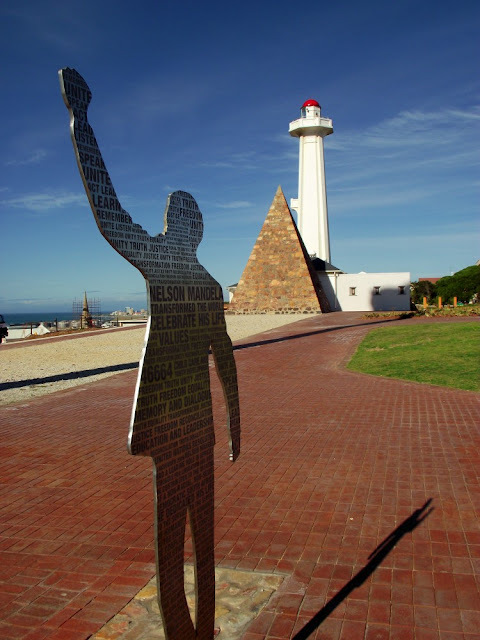 On 30 September 1980 Mr Graham Young, the Mayor of Port Elizabeth, placed a steel canister containing contemporary documents into the centre of the historic heart of the City. 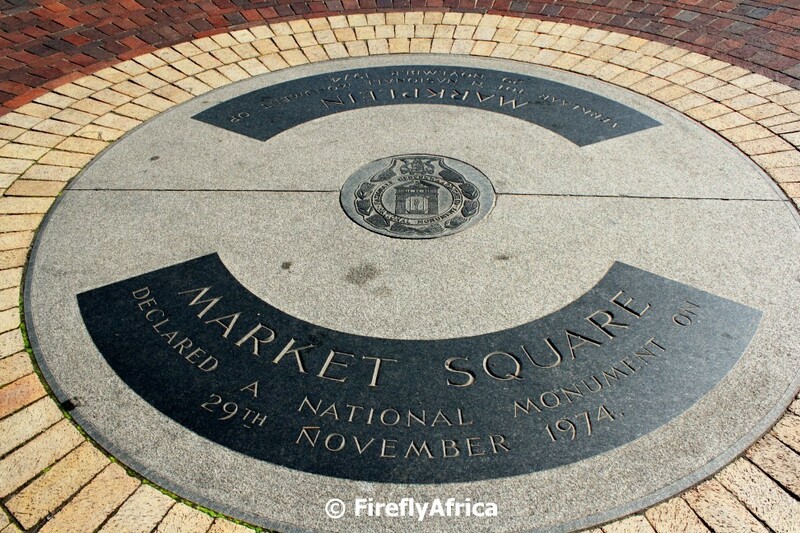 The hole was then covered by a granite slab on which the crest of the National Monuments Council is engraved as Market Square was declared a National Monument on 29 November 1974. The canister gives an indication of current (1980)events in the city and would normally be placed when the foundations laid of a new building were laid. No date has been set for the unearthing of the canister. The canister contains copies of the 3 editions of the local newspapers of the day before, the current edition of “Wotson” published by the Port Elizabeth Publicity Association, a guide to the City, the Mayoral Christmas Card of 1980, the City Engineers report on the future of the City, Heritage Trail Guide, the Afrikaanse Handelinstituut report on the City and a photograph of City Councilors and Heads of Municipal Department. The Mayor was watched by a small group of people including Margaret Harridene and Dr John Scott of the Historical Monuments Council. On Saturday the (I think it was the second) annual Richmond Hill Street Music Festival took place. Over the last couple of years Richmond Hill has proved to be the new in-place as far as trendy restaurants and coffee shops go and most of them participated in the event. A couple of street blocks were closed off and stages and performance areas were set up. I popped by for a look around before the crowds started arriving. 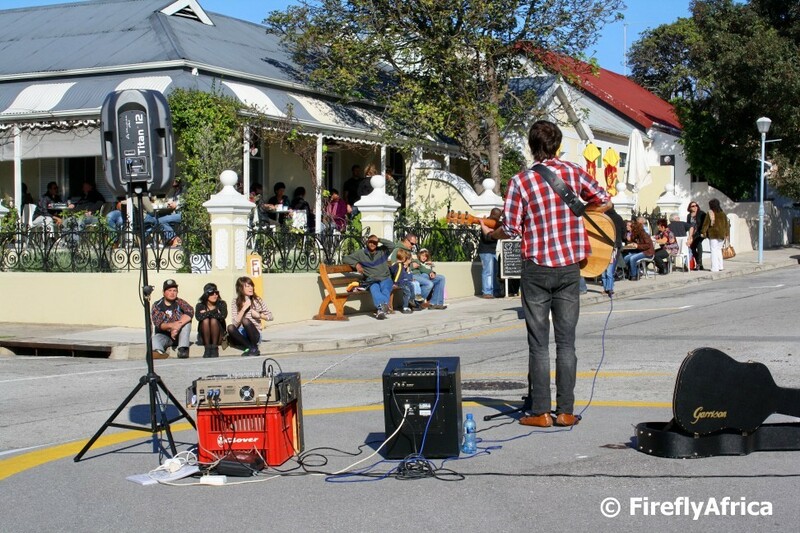 This musician was one of the early acts performing on the roundabout in front of the very popular Vovo Telo's. 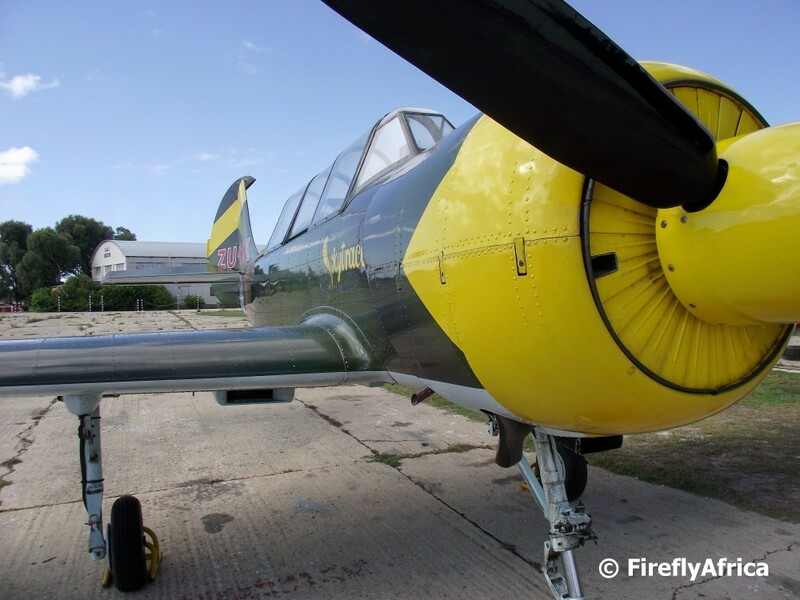 I had to take somebody to the South African Airforce Museum in Port Elizabeth the other day and found the privately owned Yak standing outside. My problem now is that I know its a Yak (and I have had the fortunate opportunity to go up in one a couple of years ago), but I can't seem to find any information on it on the internet. I'm sure AJ would be able to help as soon as he reads the post. Firefly note: Thanks AJ for coming through and identifying it as a Yak-52 Soviet trainer built, as he puts it, in the bad old days. A couple of years ago there used to be a walkway across the "moving dune" at Sardinia Bay. Today most of the walkway has disappeared below the sand with the rest being removed, probably to be used as firewood. Yesterday (15 June 2011) was a bit of a cloudy day and I kept on looking skyward with the hope that the clouds would clear. Why? 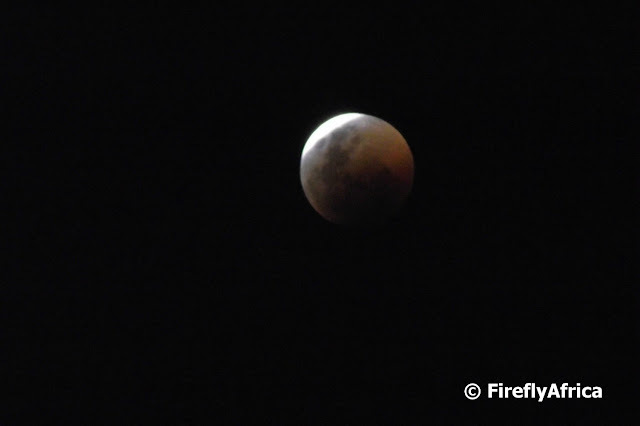 Because there was a total lunar eclipse last night and I wanted to get pictures of it. As the sun set and the moon started to rise there were clouds to the north and the south, but nothing overhead. And that is how it stayed from start to finish giving me the opportunity to see the whole eclipse happen. The picture was taken just minutes before the last bit of sunlight was blocked off the moon by earth's shadow. 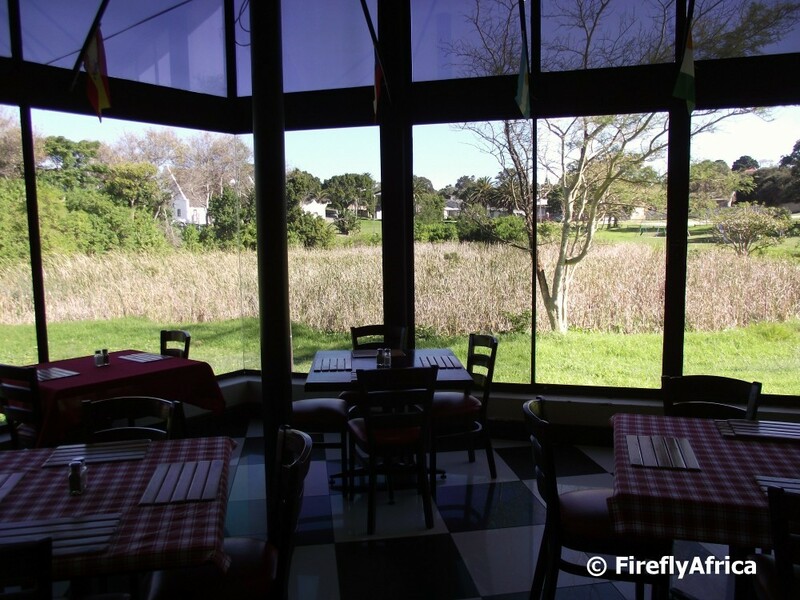 Visit The Firefly Photo Files to see the whole sequence of the moon disappearing. This also acts as my contribution to Skywatch for this week. "Bambi, I'm your father," said in my best Darth Vader voice. 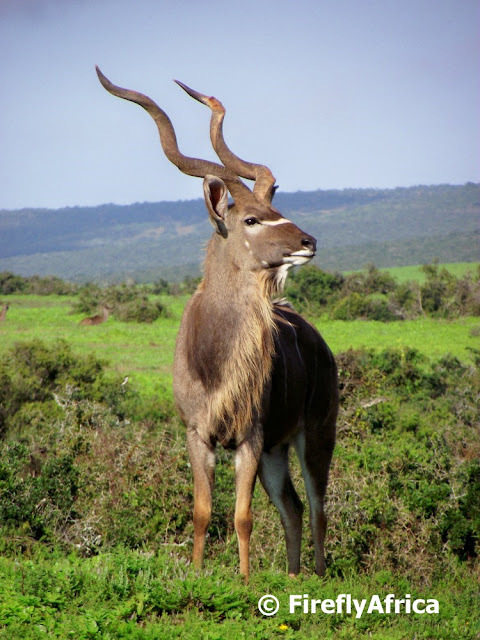 Yes, yes, I know Bambi was a deer and this is a kudu. But this was one impressive looking kudu bull AND he was willing to pose for me. 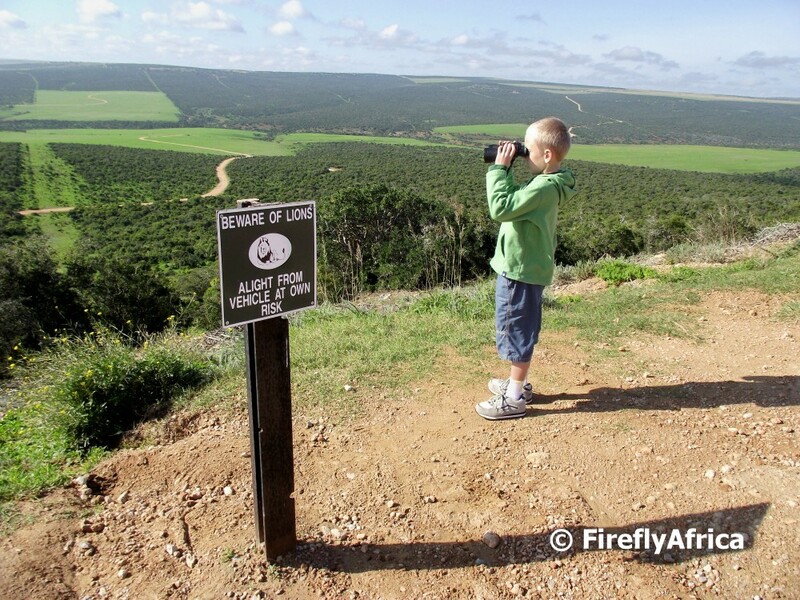 Although you aren't allowed out of your car in the Addo Elephant National Park in general, there are a couple of view points where you are allowed to alight from your vehicle... but at your own risk. Why? Cause there may be lions about. But it doesn't matter how hard Chaos Boy searched, he couldn't find them. Not that he would be more than a bit sized snack for them anyway... I did keep an watchful eye anyway. 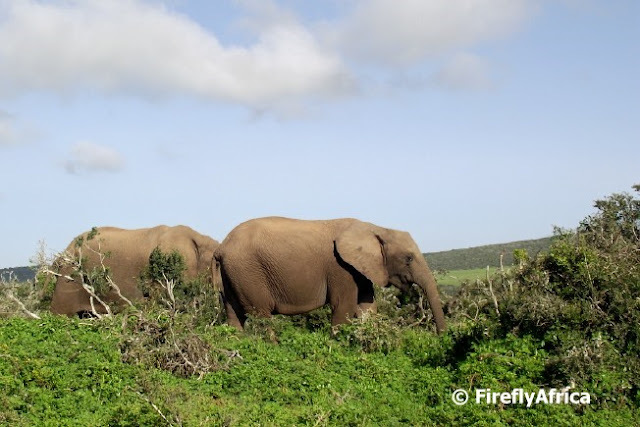 It's been more than a year since my last visit to the Addo Elephant National Park outside Port Elizabeth, so it wasn't too hard a decision to go there when we had the Sunday free this past weekend. There has been a lot of rain over the last month or so and I have to say the park is looking fabulous. The fields which were dry, bare and very brown over the summer months are green and the bush is lush. The only down part is that there is a lot of water in the bush which means that the chances of seeing elephants become slightly less. But slightly less doesn't mean you won't see them, you just need to work a bit harder to find them. And find them we did, several times. Because I haven't been for a while I went a bit happy snappy and we had some good sightings, so over the next week or so I will be showing you some more sights and sounds scenes from Addo Elephant National Park. 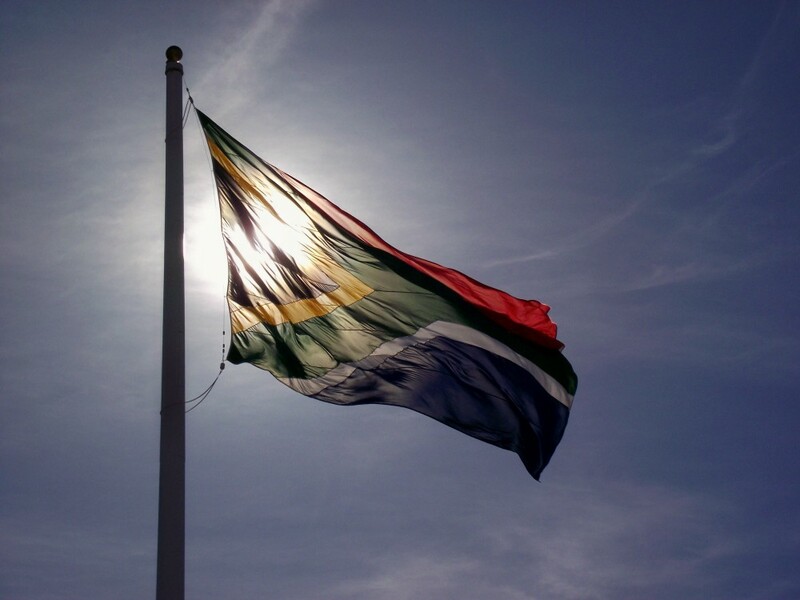 For more than two years the area around Port Elizabeth has been in the grips of a drought and with dams running dry the city has had water restrictions in place for about a year and a half already. Over the last few months we have had rain on and off and the dam levels have been fairly constant, but since the beginning of May the levels have slowly been lifting. 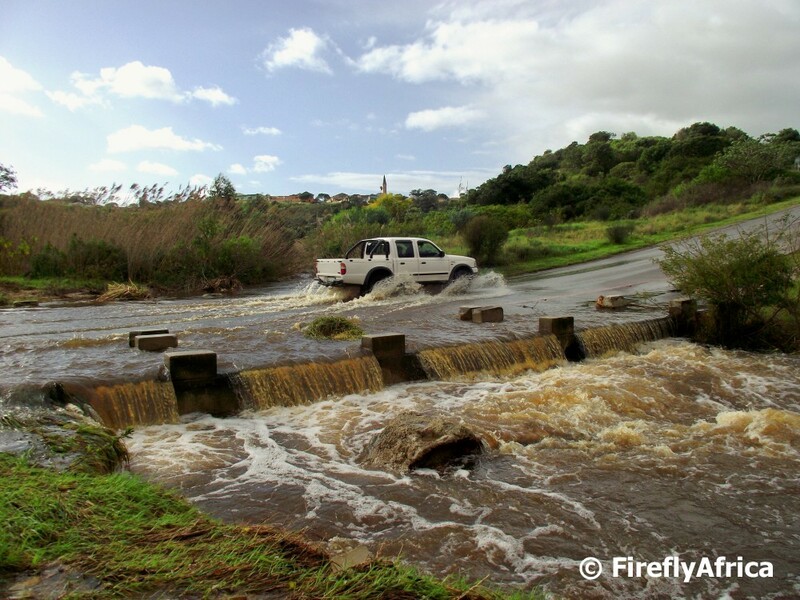 This past week we suddenly had a lot of rain and flooding occurred all over the Nelson Mandela Bay metro area and beyond. 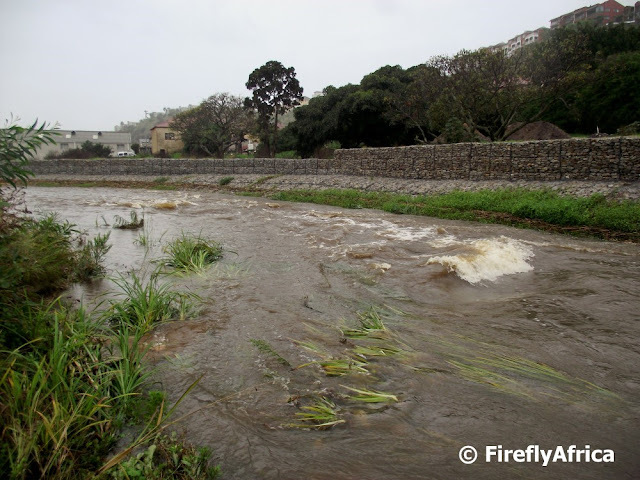 The two smallest dams have been over flowing for a couple of days already while the Kouga Dam, one of Port Elizabeth's three main water supply dams, started overflowing this morning. The picture was taken in the Baakens River Valley just below the new bridge. 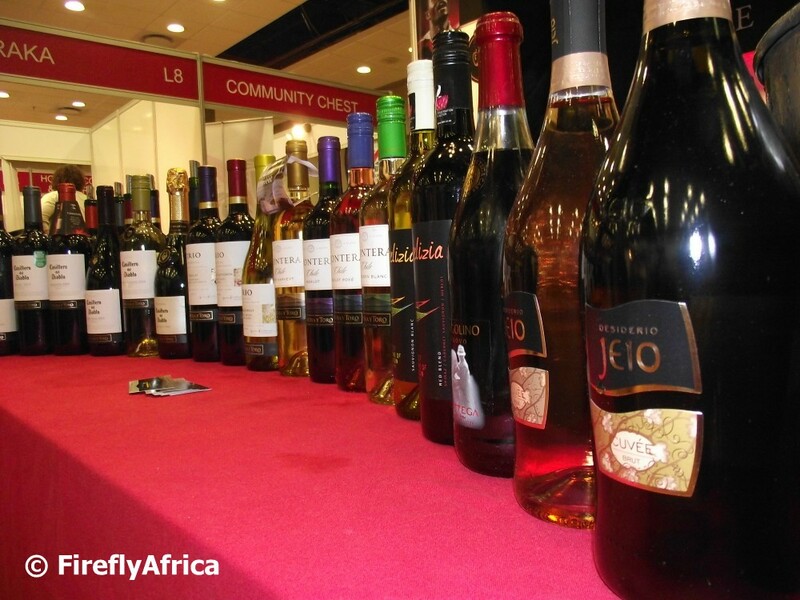 The second annual Nelson Mandela Bay Wine Show is taking place at the Nelson Mandela Bay Stadium this weekend. I dropped in last night to have a look around and was very very impressed. Both with the quality of the wine estates being represented as well as the turnout of both wine connoisseurs and social wine drinkers. All the wine estates exhibiting offer wines to taste and I noticed quite a few folk leaving with boxes full of bottles. Off coarse the show organisers aren't encouraging drinking and driving, so chauffeur service GoodFellas are on hand to drive home any show visitors who feel that they may have had just a tad too much to drink taste. 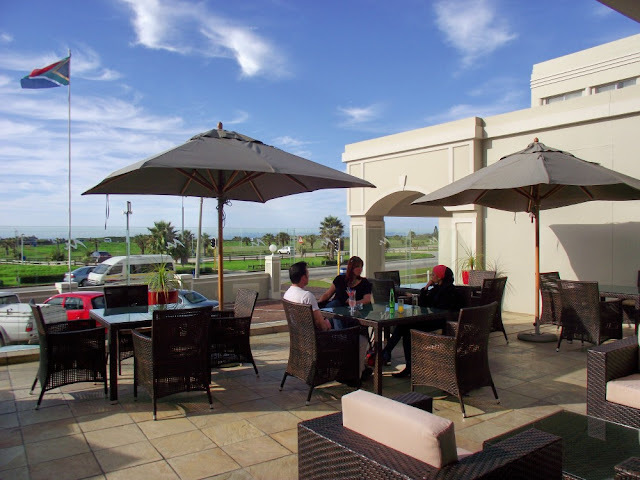 A couple of the hotels along the Port Elizabeth beachfront have some great bar and restaurant facilities where one can relax with a meal or drink outside in the sun on a cool winters day. I was invited to lunch at the Marine Hotel recently and my companions very quickly realised that this blogger doesn't let any opportunity go by to get a photo. 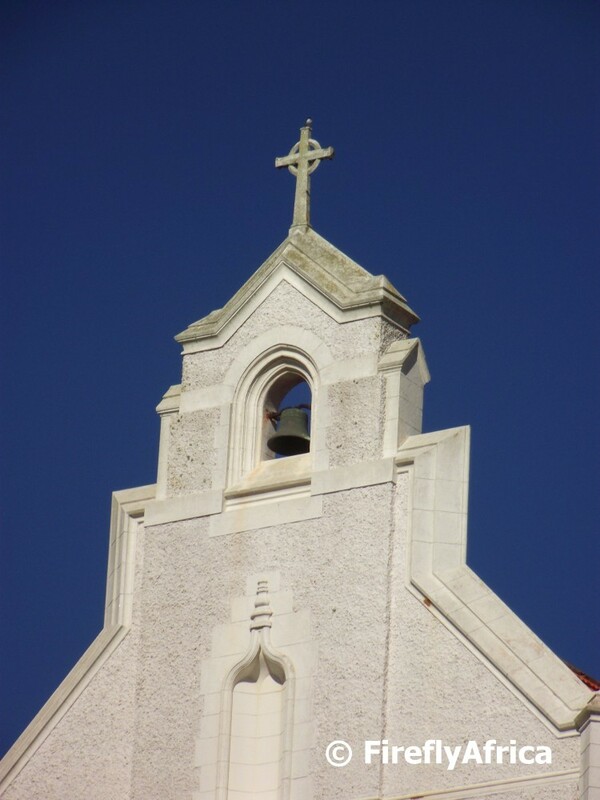 Visit Skywatch to see some more sky photos from photographers all over the world. Construction at the Donkin Reserve is at an advanced stage with a number of workers involved in the construction of walkways, landscaping and other things. Walking around on the Donkin Reserve the other day, the construction workers were playing a game of soccer during their lunch hour. From this angle it looks like some of the figures in the Voting Line art piece was cheering them on. Today's post is a continuation on yesterday's showing the water pushing between the "foothills" of the sand dunes at Sardinia Bay. No amount of threats could get the Rugrats to stay out the water and yes, Chaos Boy got his pants wet at this moment. 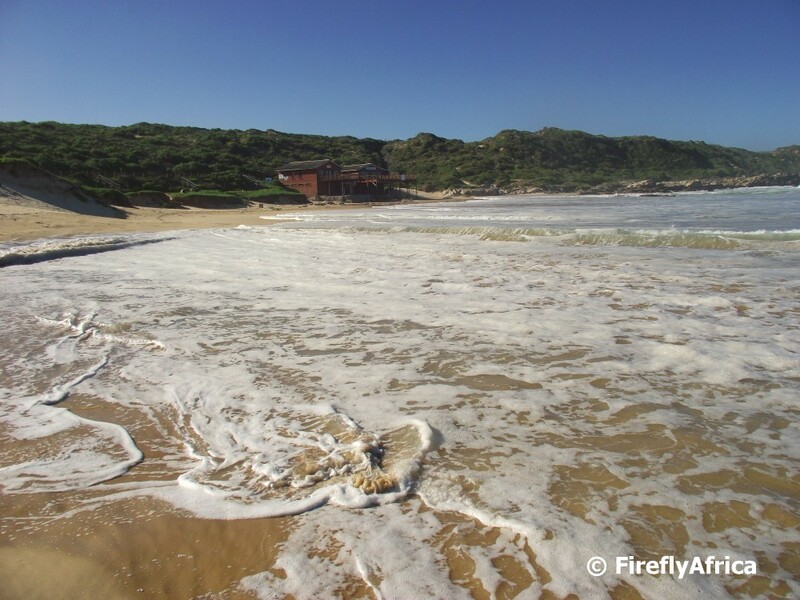 We spent all our holidays with my grandparents in Paradise Beach near Jeffrey's Bay when we were small. When is was spring high tide we used to play on the beach and run away from the water as it pushed high up on the sand. 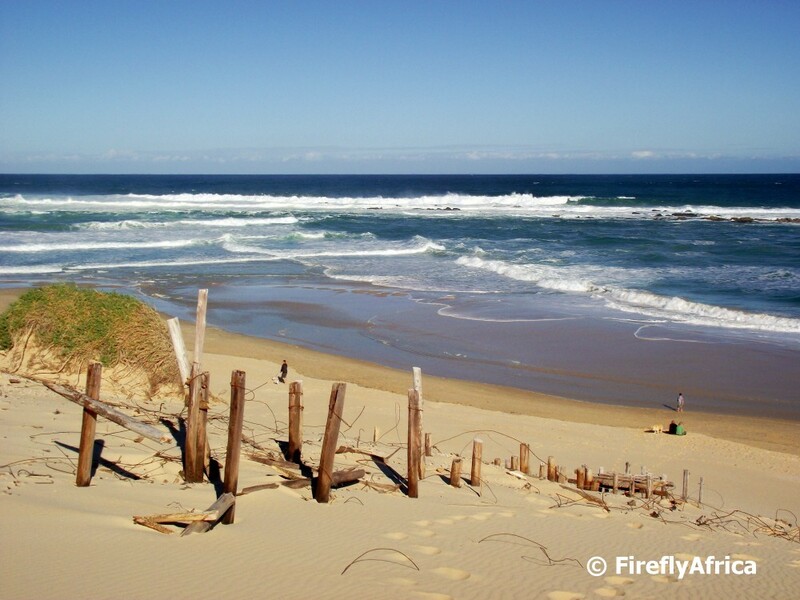 Visiting Sardinia Bay last weekend I noticed that the tide was unusually high and those memories came flooding back. The water at Sards was pushing right up to the Sardinia Bay Surf Lifesaving Clubhouse and the Rugrats was doing exactly the same as we did all those years ago. People always tend to notice the big kinds of sport like rugby, cricket, soccer, golf, athletics, and so I can go on. For the last 15 years (well kinda on and off at times) I've played badminton. Some people may play it for fun on the lawn with an over sized shuttle, but the real thing is another kettle of fish. 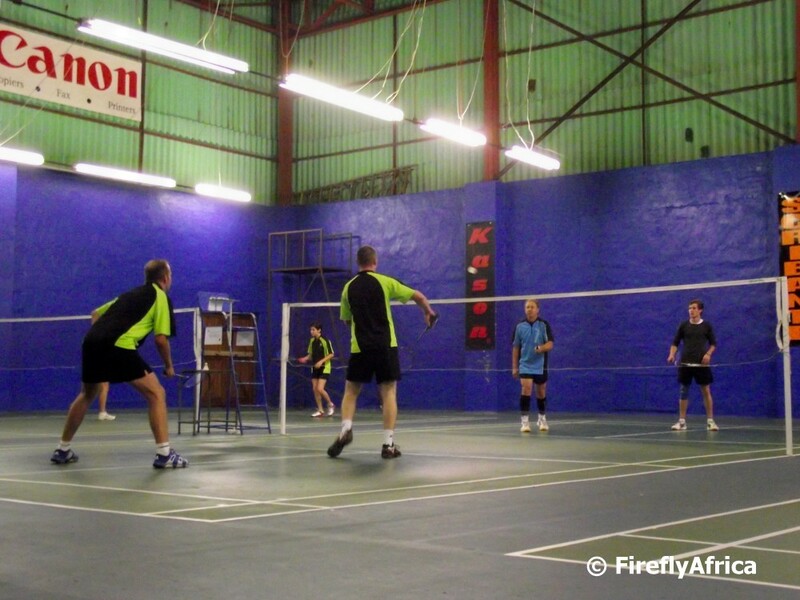 I played my first game of the season the other night and as always had my camera on hand so I decided to snap a photo of the match on the court next to ours. 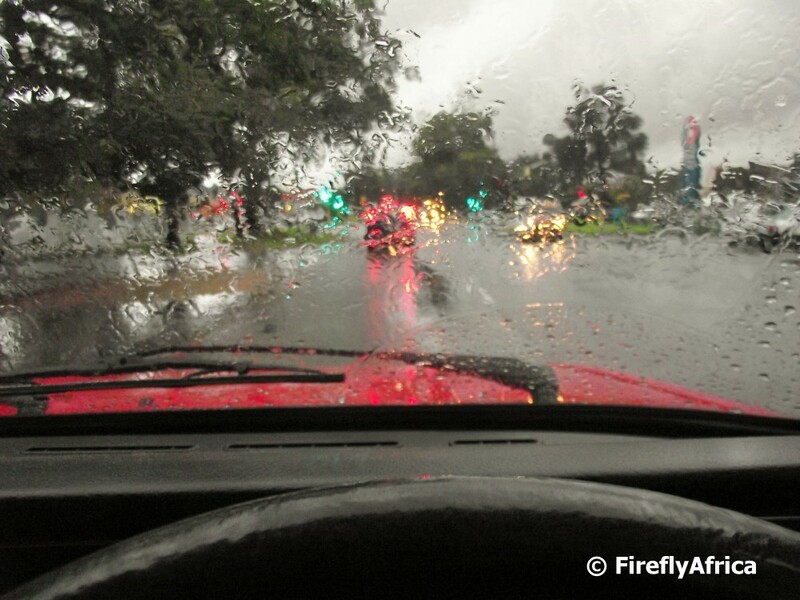 We had some good rains lately although a lot more is needed, specially in the catchment areas. I was sitting in traffic on the way home the other day, enjoying the rain, when I decided to take an impromptu photo of the rain through the windscreen of the car. At one of the traffic lights I lined up my shot and waited for the car in front of me to pull away when the light turned green to get this. Luckily there was nobody behind me so I could wait a couple of seconds. 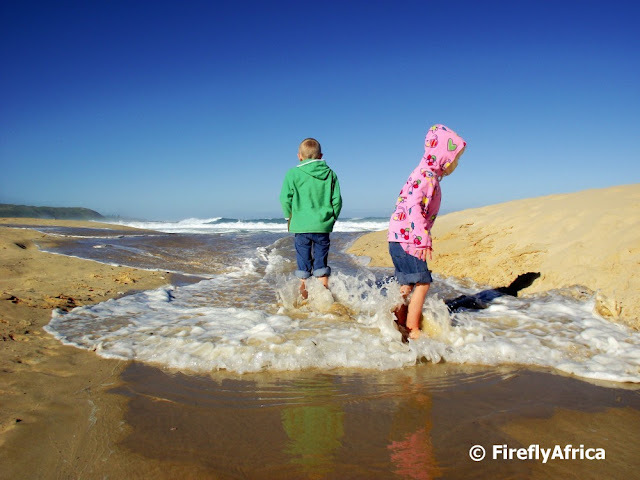 Its been a while since we've been down to Sardinia Bay, so on Sunday I bundled the family in the car and off we went to Sards. One of the reasons I wanted to go was to see how much of the road the sand dune has eaten up already and was I surprised. 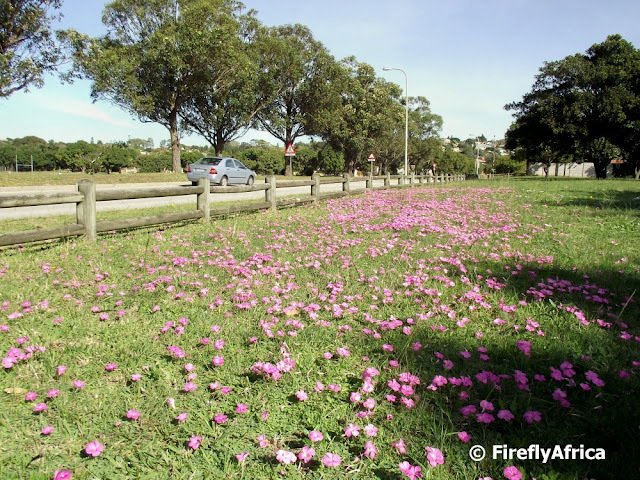 Over the last couple of years the sand dune next to the access road to the bottom parking area has moved towards the road very quickly and there has been a lot of controversy surrounding it. As it stands now the Sardinia Bay Surf Lifesaving Club has no access to their clubhouse and is housed in a container at the top gravel parking area. 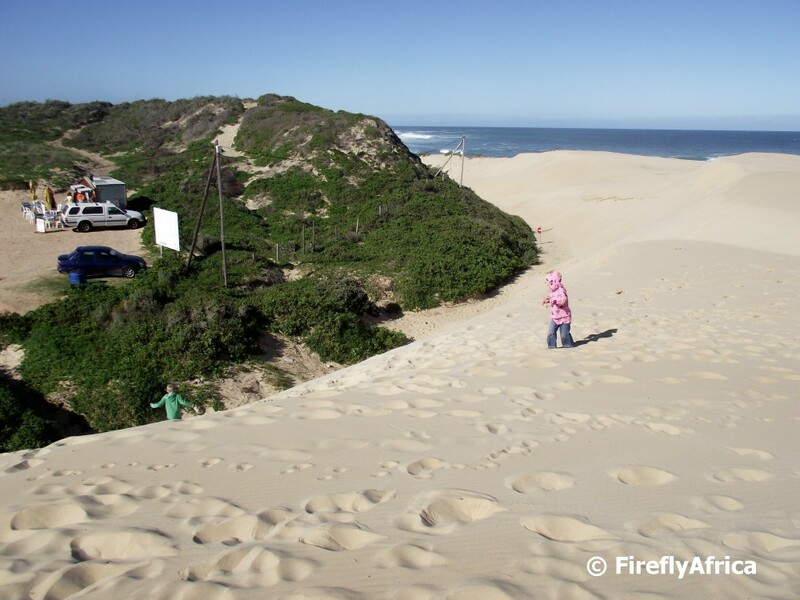 There has been a lot of people calling on the municipality to clear the road and keep it clear while others say that the dune should be allowed to takes its natural cause. Looking down from the top of the dune the road is (under the sand) between the bush and the dune. Looking at the grassy areas around town one would hardly say that today is (officially) the first day of Winter. After all the good rains we've been having lately there has been a lot of little pink, white and some yellow wild flowers blooming all over town. I found this patch in a play park in Charlo and, unlike fellow photographer Luc Hosten, I didn't have mommies from the nearby school look at me funny for crawling around the flowers with a camera in hand and their kiddies mere meters away. Why not? Well, firstly I took Drama Princess along as my alibi and secondly I was there on a Saturday.